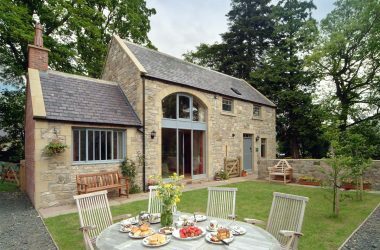 Welcome to Pilgrims Rest self-catering countryside cottage accommodation for up to 4 + baby, in Shilbottle, Northumberland. 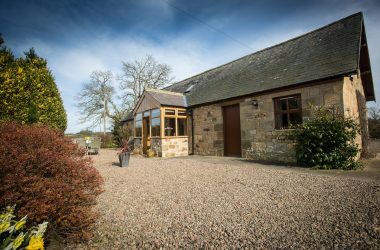 Chill out in an idyllic peaceful setting in the converted former coachman’s quarters and hayloft, adjoining a beautiful listed ancient pele tower and house c. 1380, situated next to the church. The property, which was a fortified defensive tower, has plenty of history. Original ownership was the first Earl of Northumberland, then forfeited to the crown under King Henry IV, his son and Henry VI, then later mysteriously reacquired by the Northumberlands. Eventually it was gifted to the church and used as a vicarage. The present owners have lived here for 25 years. 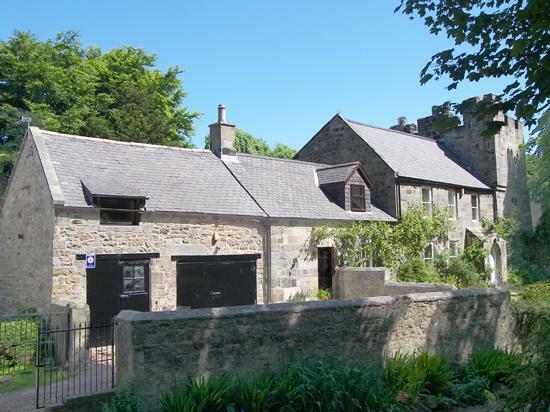 Ideal for exploring Northumberland, visiting its fabulous coast and abundance of castles. Near the historic town of Alnwick with its famous garden and castle. One mile from the A1 makes visiting country houses, the Cheviot Hills, the Borders and Hadrian’s Wall, easy. Only 2.5 miles from the nearest beach. Alnmouth railway station is handy for visiting Edinburgh or Newcastle. Shilbottle has a general store, post office, chemist, pub, restaurant, hair salon and Spa centre. Golf courses, angling and horse riding nearby. Family membership by arrangement to private health club next door with swimming pool, sauna and steam room. Watercolour painting workshops available from artist owner. The first floor accommodation has a stylish open plan lounge with dining/kitchen area. Wood floor, exposed beams and stone work. Comfortable leather sofas. Flat screen freeview t.v./d.v.d. Combination microwave, gas hob, fridge. Real flame gas stove. Small double bedroom. Twin bedded room. Duvets. Bathroom with over bath electric shower/w.c./shaver point (limited headroom). Central heating and electricity included. Cosy in winter. 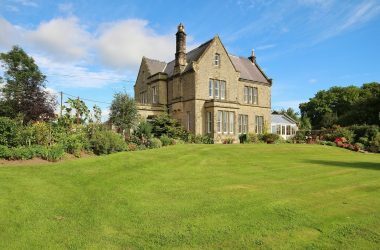 Lovely large secluded garden with lawns, flower beds and patio area with a lovely view of the church. Garden furniture and barbeque. Off road parking. Storage for bikes. Sorry no pets or smoking in the cottage. Accessibility: Please note the accommodation is on the first floor. Short Stay rates available for Low Season and on short notice in High Season subject to availability.